No 17 Sli an Bhradain. John Quinn is currently offering for sale a magnificent five bedroom detached family home in Sli An Bhradain, Claregalway. 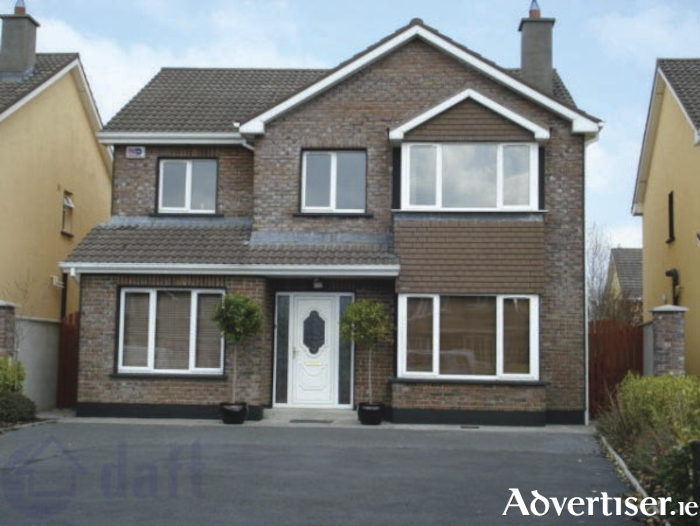 The property is a stunning five bedroom family home in walk-in condition and in an excellent location, close to local schools, church, shops, sports facilities, and hotels along with very easy access to Galway city, Oranmore, and Tuam. The property has oil fired central heating, is fully double glazed, and has built-in units in all bedrooms. The property has two luxury en suites, and superb tiling in the kitchen, bathroom, and en suites. The house also has a magnificent garden with a lovely mixture of patio areas and greenery – all easily maintained. The property has a BER of C3 on BER cert no 111274866.